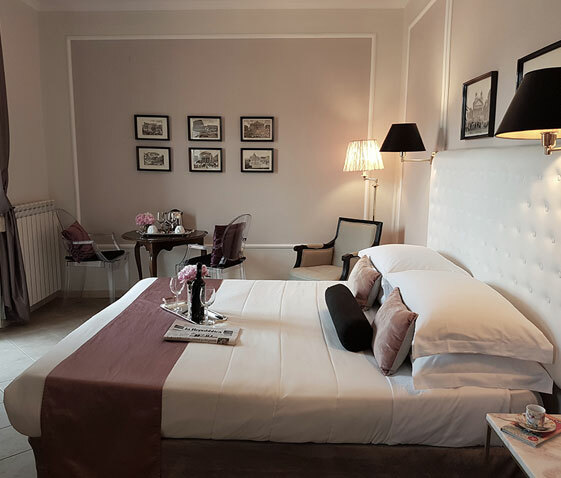 Furnished in delicate hues, with a mix of classical design and modern touches, has cream walls, an antique walnut table, contemporary chairs and golden fixtures. 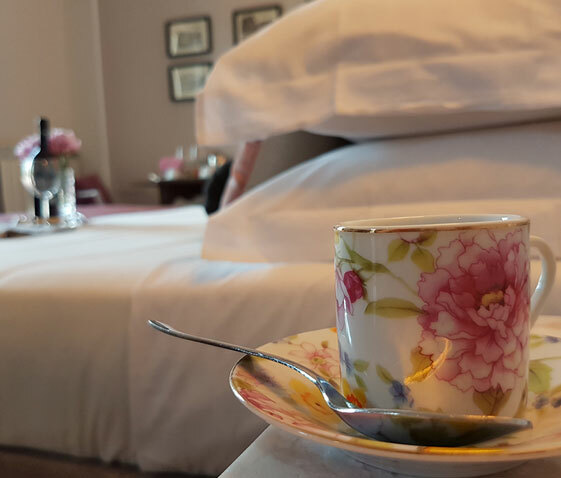 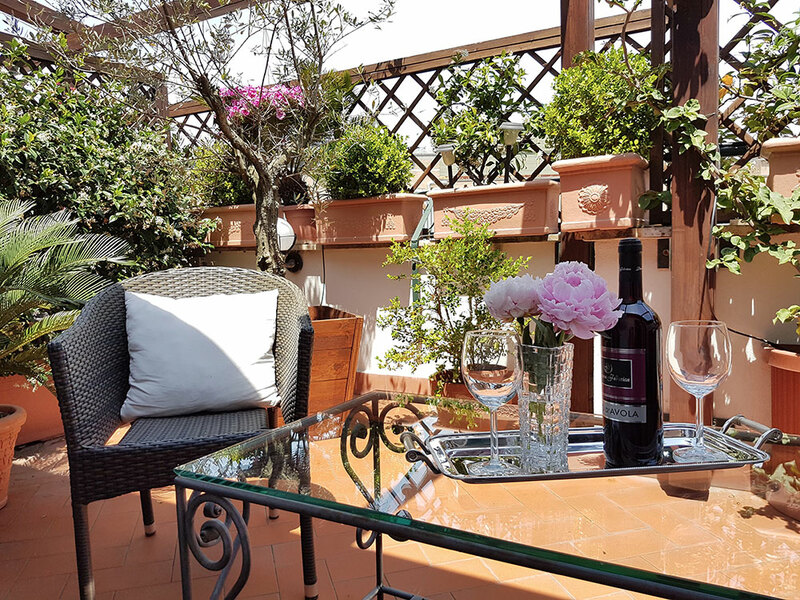 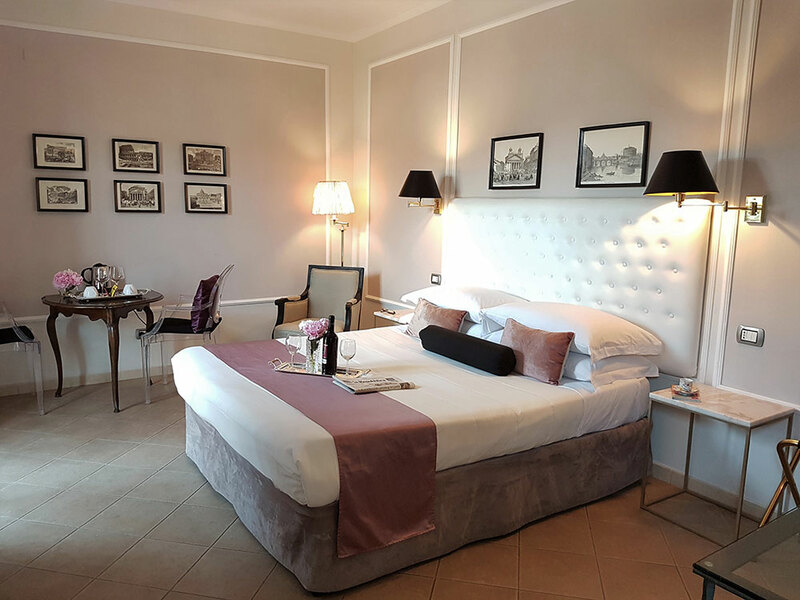 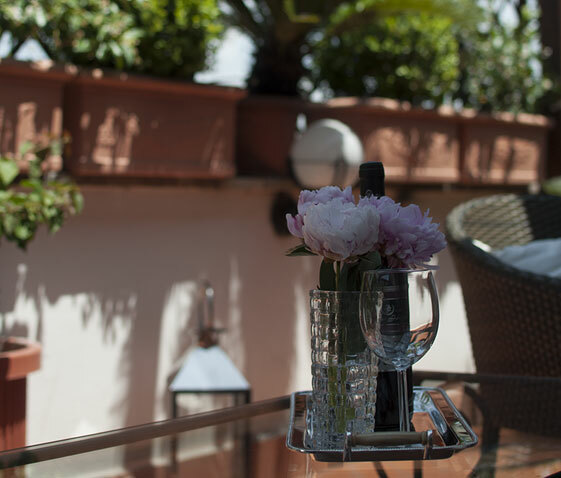 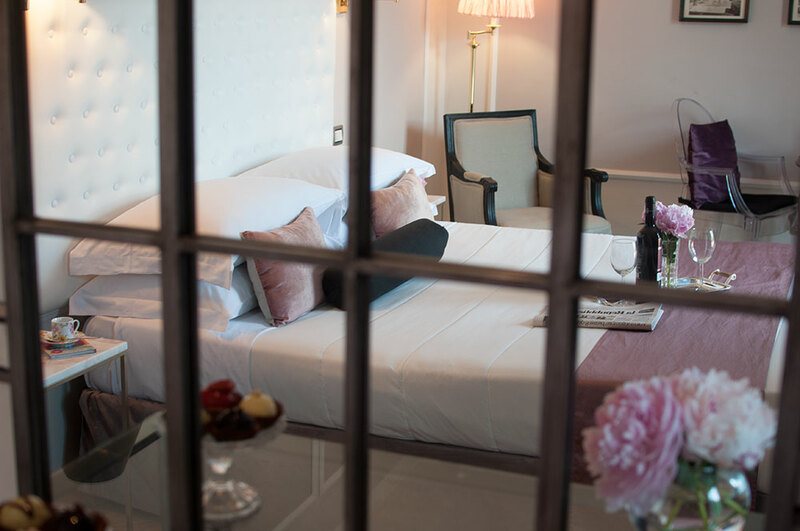 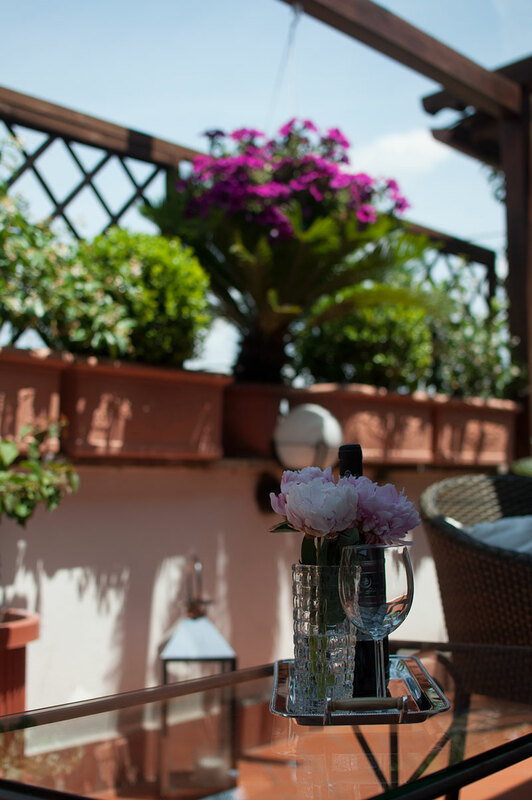 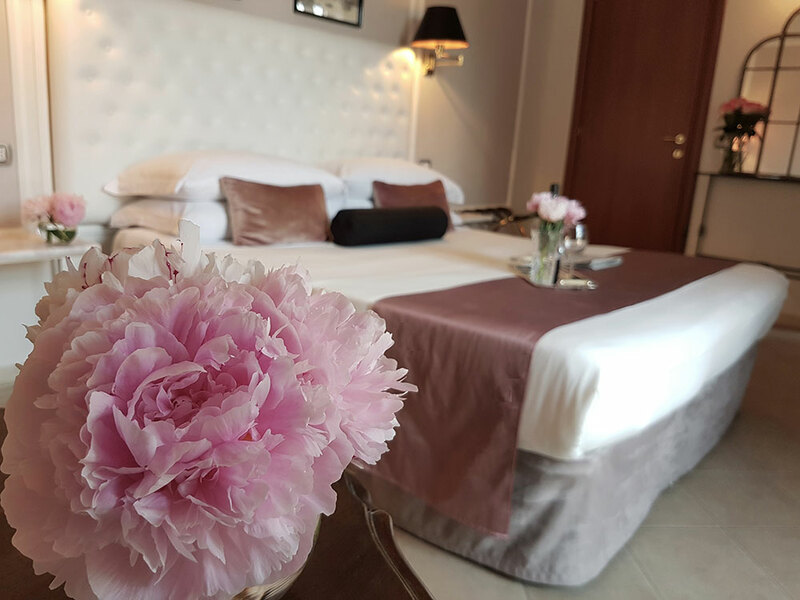 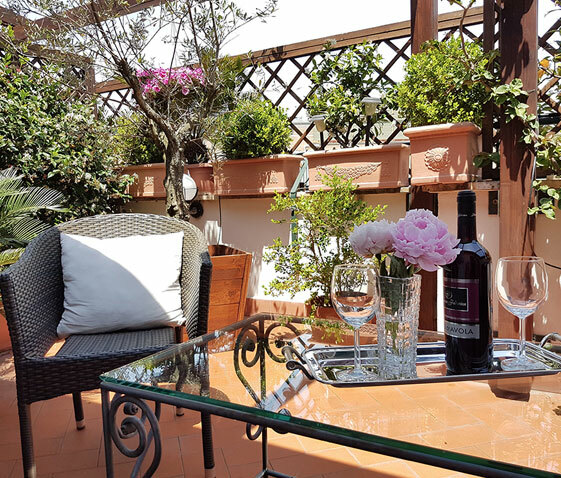 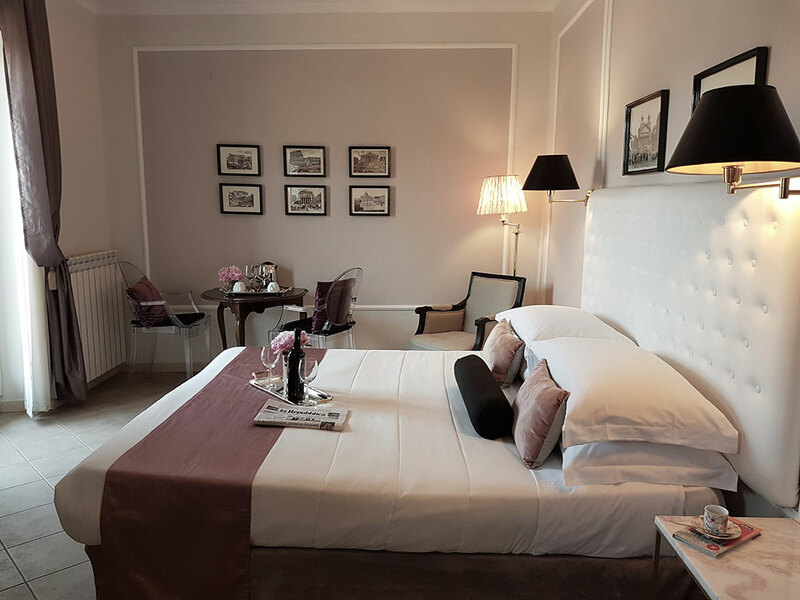 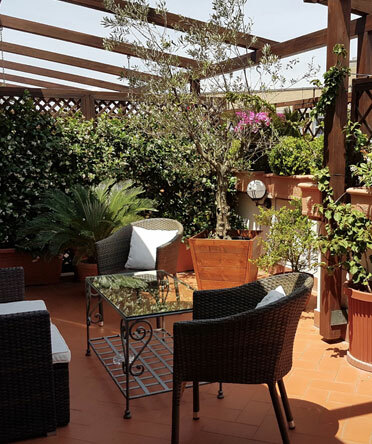 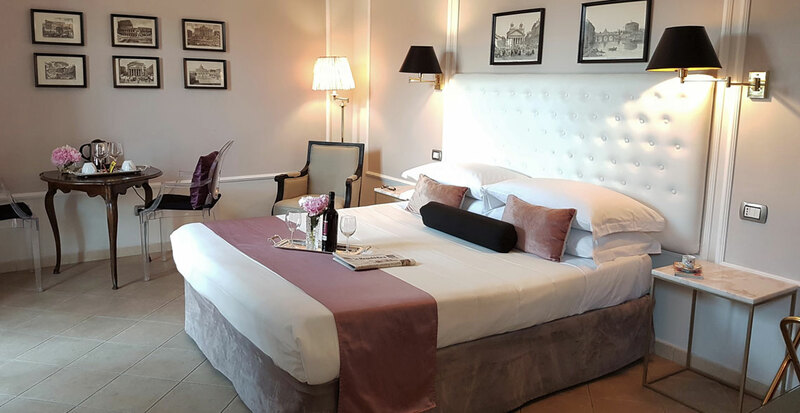 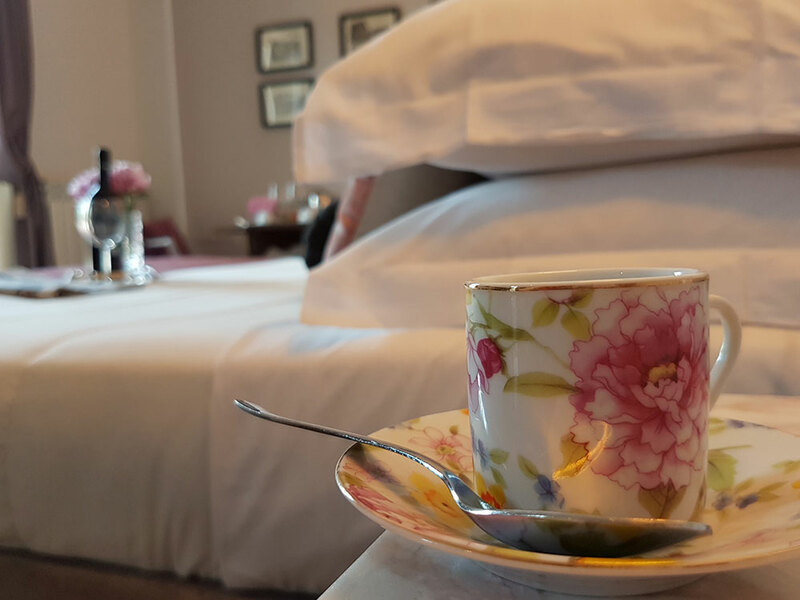 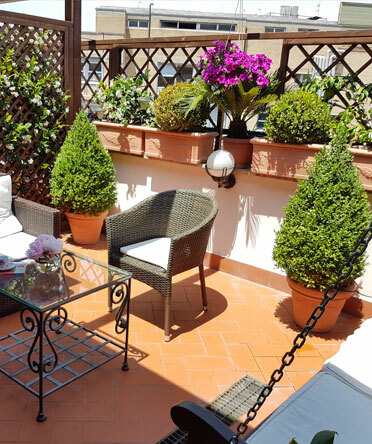 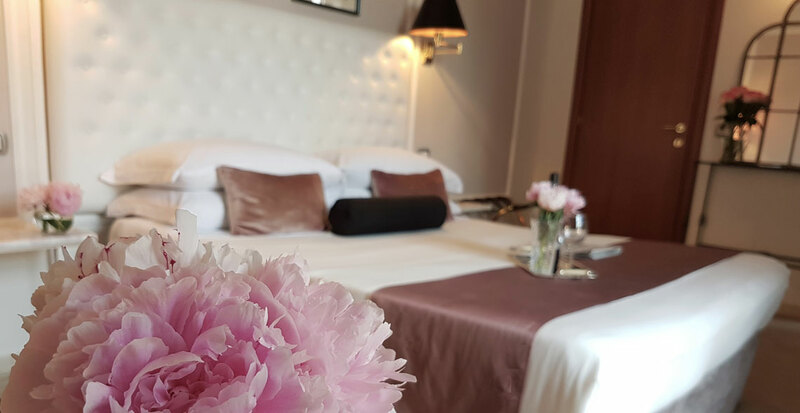 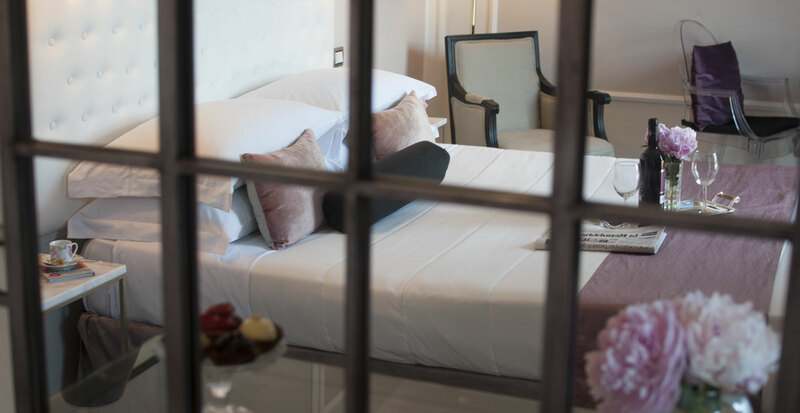 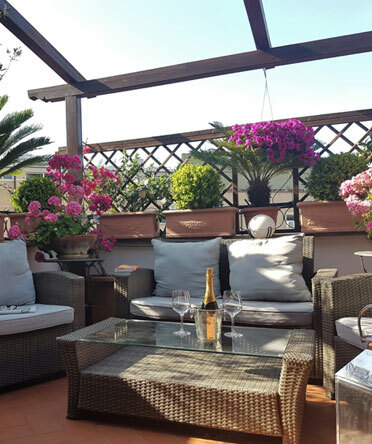 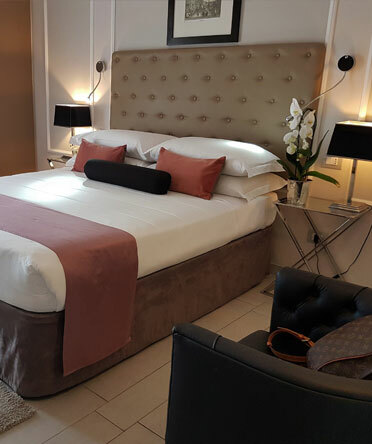 The 16th square metre lushful private terrace, provided with a sofa and two comfortable chairs, allows guests to enjoy breakfast served in the room, sip a drink or unwind after visiting the Eternal City. 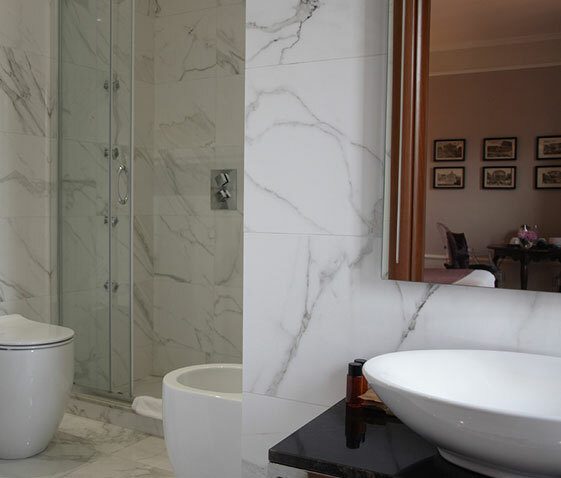 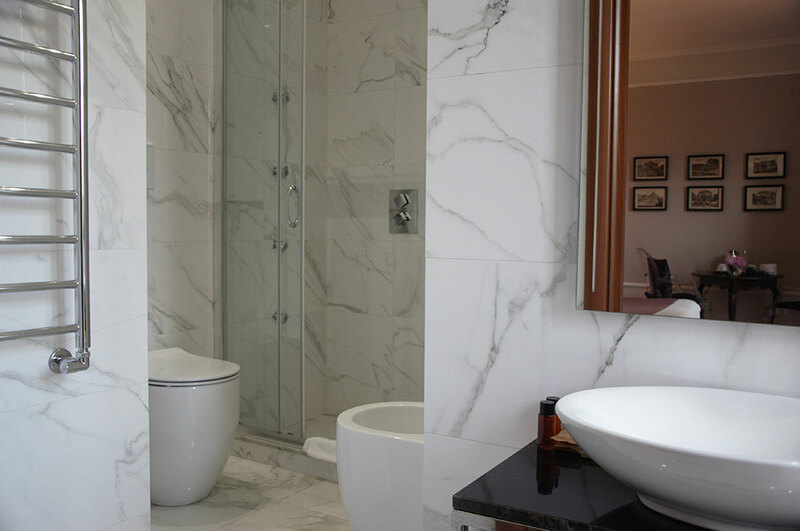 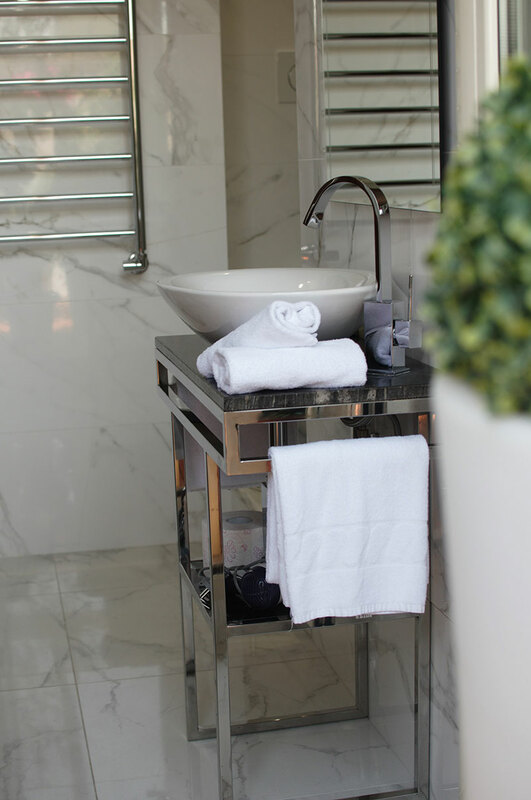 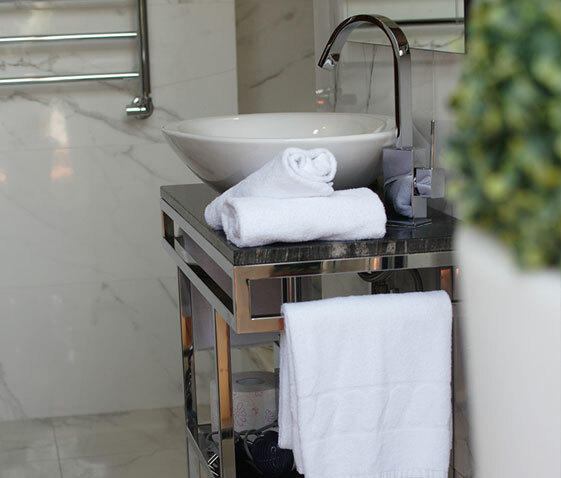 The bathroom, covered with classic white porcelain marble tiles, features a stainless steel and granite sink table, hydromassage jets, rainshower and chromotherapy. 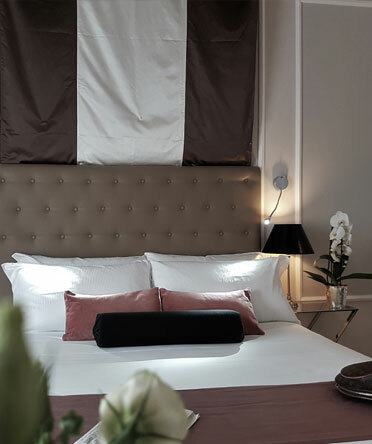 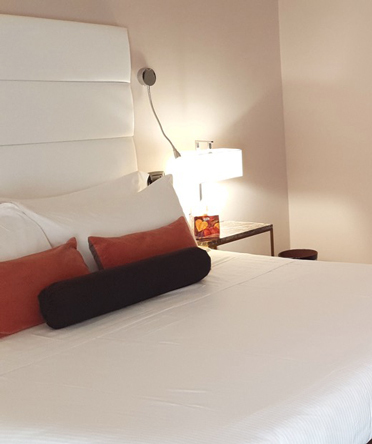 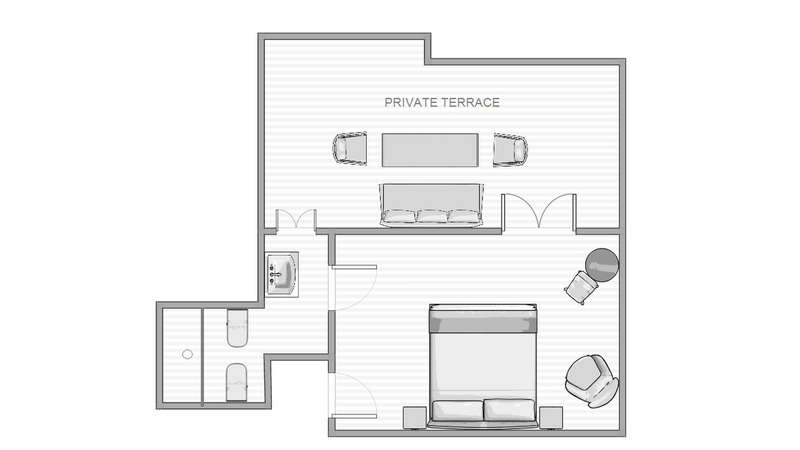 Usually, accommodates two guests but can easily welcome three adults if a single bed is added.